Torque News has covered it before, SUV segment is the one dominating sales globally and tendency continues to grow. First two best selling models at Porsche are also SUVs: Porsche delivered 46,600 Macans worldwide during first half of 2018, followed by Cayenne with 28,700 deliveries. As Porsche Macan sits in the full of worldwide demand segment and sells well for Porsche, no wonder its mid-life model revisions are subtle, despite Porsche marketing the model as “new”. Revised Porsche Macan exterior features design elements already found on other modern design Porsche models. Lighting plays a key role in achieving modern look: headlights are LEDs as standard, whereas Porsche Dynamic Light System Plus (PDLS) can be optioned and used to adaptively control the light distribution. Rear tail light strip already seen in facelifted design of Porsche iconic 911 model sports car, latest generation bigger SUV brother Cayenne and four-door Panamera is also introduced to the new Porsche Macan exterior design. Rear brake lights designed is also renewed and is now four-point design to be inline with brand’s design identity. Porsche is famous for long option lists and latest revisions are intended to make Macan more customisable than ever before. Most recognizable of which is addition of four new exterior colors “Miami Blue”, “Mamba Green Metallic” and “Dolomite Silver Metallic” and “Crayon”, which can be combined with new interior packages and choice of new 20- and 21-inch wheel designs. Porsche emphasizes making Macan look even more sportier was among it’s model revision goals. In the interior this translates to new option of GT sports steering wheel. If the car is optioned with the Sports Chrono Package, one would find the mode switch integrated to the GT sports steering wheel, plus Sport Response Button. We may remember this functional design element debuted in the facelifted version of Porsche 911 sports car back in 2016, which only further enhances Macan sporty associations. List of comfort oriented options is also extended and now include a heated windscreen and an ioniser to improve the air quality in the interior. Porsche has introduced few more less visually noticeable innovations to the revised model’s infotainment system which not features full-HD touchscreen enlarged from 7.2 to 10.9 inches. Following the theme already familiar from Panamera and Cayenne, using predefined tiles users can customise the interface. 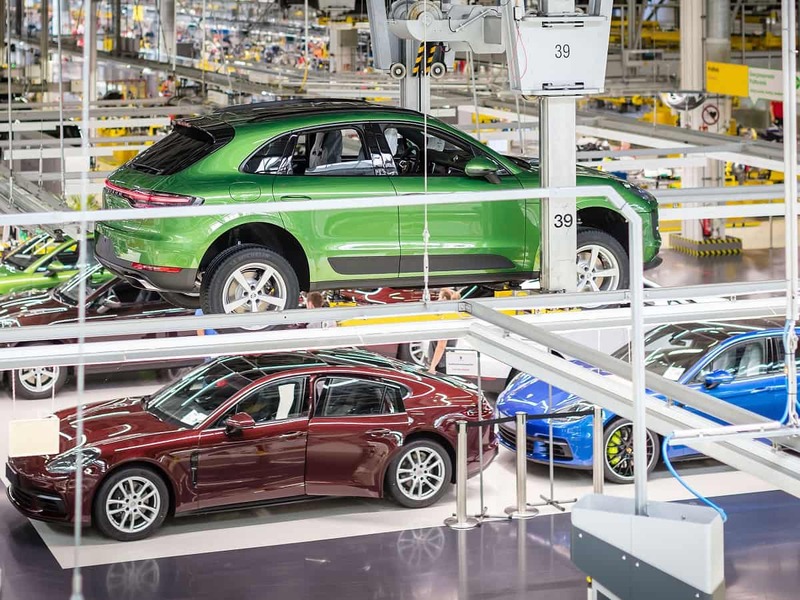 From now on each Porsche Macan is equipped with a Connect Plus module, making every vehicle fully networked as standard. New module integrates, according to Porsche press release, “various digital functions and services”, key of which is the “Here Cloud” for real-time traffic data and intelligent voice control. New to the assistance systems is Traffic Jam Assist which enables more comfortable usage of adaptive cruise control at city speeds not only by assisting to acceleration and braking, but also assists with steering in a traffic jam or in slow-moving traffic. Porsche follows the simple motto “If it ain't broke, don't fix it” with the mid-life facelift to its compact SUV. Subtle but still new exterior design upgrades will make Macan speak the common modern Porsche design language and give emotional comfort to existing owners who would consider upgrading from pre-facelift Macan model. And to those potential new customers, Porsche has got Macan ready at its best.